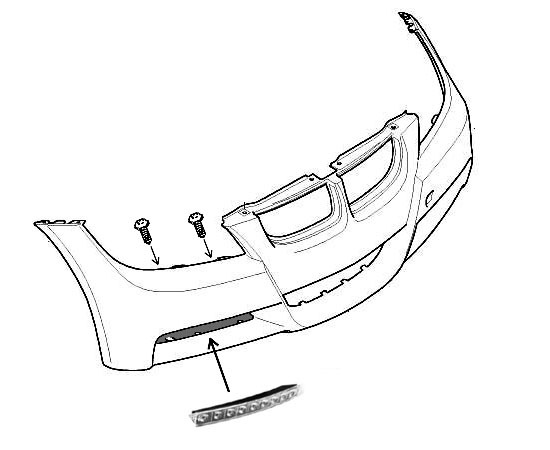 This installation guide is base on a 2006 Audi A6. 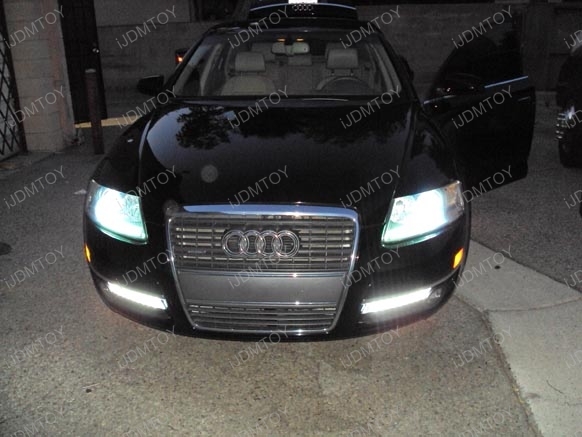 You can find this product under Audi Style LED Daytime Running Lights (60-077). There are screw holes on the back of this LED daytime running light so it can be mounted against the plastic bumper grill mesh insert. 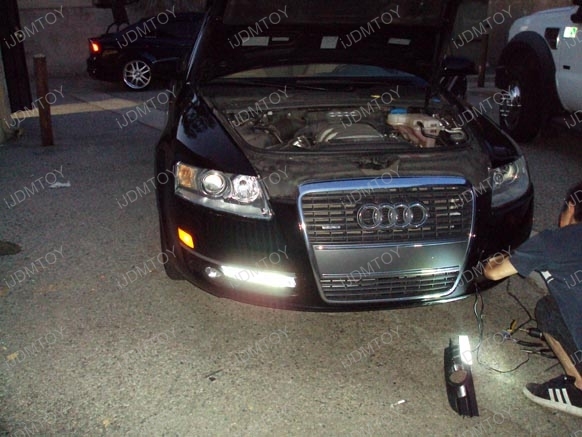 Step 4: Enjoy your new Audi LED Driving Lights! Tip: If this Audi Style LED Daytime Running Lamp is a little bit too long, you can trim off the clear plastic edge on each side to make it shorter.